Hello, I’m Rachael Jones (until very recently I was Rachael Egan), and this month I have begun a 2 year cataloguing project as part of the Fire Recovery programme to catalogue the institutional records of the Glasgow School of Art. 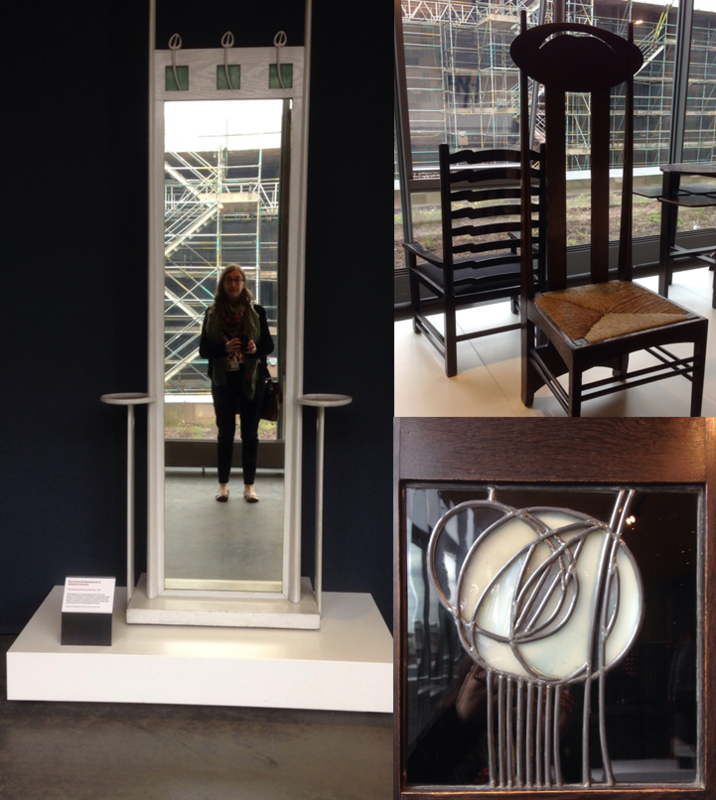 As part of my induction I enjoyed a tour around the Mackintosh furniture store in the Reid Building. My background in archives began when I became a Graduate Trainee at the University of Glasgow Archives & Special Collections in 2011. This traineeship gave me a real appreciation for the amazing stories that the records of an institution can tell and allowed me to realise that I wanted to pursue a career in the heritage industry, and particularly with archival records. The next step was to get the Archival qualification and I graduated with a Masters Degree in Information Management and Preservation from the University of Glasgow in 2013. Since then I have had a number of archive roles within the University of Glasgow including Business Archives Cataloguer (2014-2015) and Heritage Engagement Officer (2015-2017). The institutional records that I will be cataloguing form the spine of the Glasgow School of Art’s administrative collections and include papers from departments and committees such as the Board of Governors, the Academic Council, papers from the various Directors of the School, and papers of Registry. 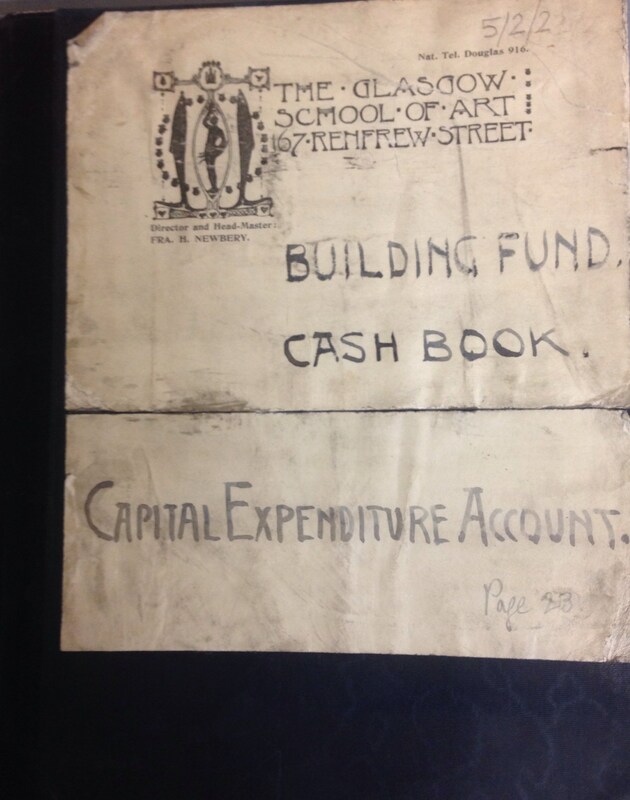 So far I have come across minutes dating from the foundation of the Art School up until the 2000s and these vital papers record the decisions taken by those who govern the school and have allowed the School to grow and develop over the centuries. Find out more about the history of the Glasgow School of Art here. By creating more detailed records of the institutional papers of the Glasgow School of Art, they will be much more accessible to staff, students and researchers who will be able to find the information they are looking for more easily. An accurate catalogue will also give collections staff a clearer picture of exactly what we hold and will contribute to the safekeeping of the records, and compliance with the Data Protection Act by protecting recent information. Cataloguing institutional records is the first step towards sharing the fascinating stories they contain and I will be keeping you up to date in my progress on this blog so stay tuned!